Day 307 – Part 2 – Never Accessorised Like This! Our last fundraiser for the year and I’m here tonight as MC and in my very special role as Play Coordinator for Radio Lollipop. Now you may be thinking that you’ve seen this dress before and you would be right. 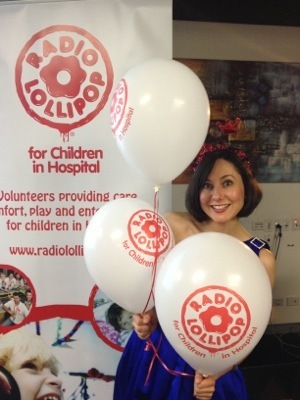 I wore it to the gorgeous confetti wedding a few weeks ago but I certainly didn’t accessories like this … After my zip broke 3 minutes before the first guests arrived I didn’t panic at all because it was nothing my Radio Lollipop name badge couldn’t fix! 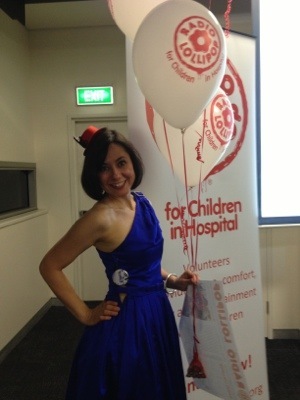 Posted in Brisbane Fun, fashion and tagged accessories, fundraiser, party dress, Radio Lollipop. Bookmark the permalink. gorgeous dress and kudos to your fabulous fix up! Thanks so much 🙂 luckily we all have to wear cute name badges on our hospital ID! Now I just need to find someone I can really trust to fix my beautiful, hand-made dress … Scary!